In a story entitled: "The problems with scooters are real. Let’s fix them," Austin writer Dan Keshet points out some of the main points of contention about scooters and their impact on public spaces. Unlike a lot of stories on the topic, Keshet also makes some common sense recommendations on how to address the problems. Check out the full story here: The problems with scooters are real. Let’s fix them. Uber uses the moniker 'JUMP' for its bike and scooter service. 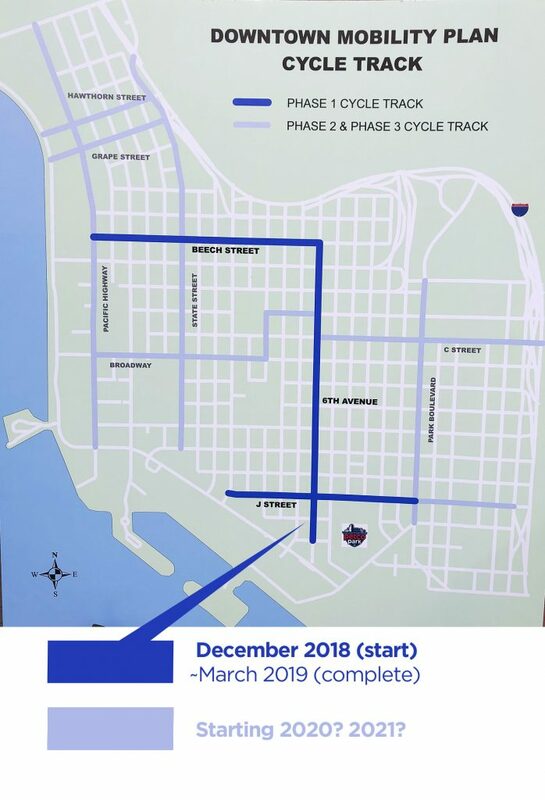 And both JUMP bikes and scooters are getting free rides and helmets through Jan. 9, 2019. Riders can get up to five, 30-minute rides per day. Scooters will then cost $1 to unlock and $0.10 a minute after the free rides have been used. Uber's JUMP e-scooters work by reserving and unlocking them using the Uber app, via a small icon "switch" at the top of the Uber app screen. If there are no Jump devices near the users, the option to reserve bikes/scooters is not shown to the user. Confusing decision by Uber, if it wanted to bring greater awareness of bikes and scooters to its user base. 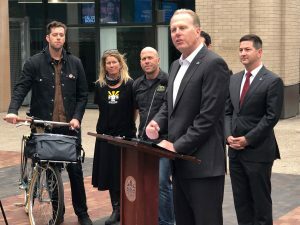 On December 19, 2018, rideshare service Lyft announced Thursday it is joining Uber's 'Jump' in offering dockless electric scooters in San Diego. Lyft marks the fifth entrant in the local market after Bird, Lime, Razor and Uber. The scooters that Lyft is deploying seem to be of the first generation model, with thumb throttles and small wheels. What sets Lyft apart from Bird and others is that Lyft scooters can be reserved using the Lyft app. This gives Lyft a large pool of potential users in the city, right out of the gate. It remains to be seen whether this is enough to pull riders from earlier entrants like Bird and Lime. More info on the Times of San Diego article on the Lyft launch.